Explore how the first Americans, faced with varying climates in a vast land hundreds and thousands of years ago, developed everything we take for granted today: food supplies, shelter, clothing, religion, games, jewelry, transportation, communication, and more. 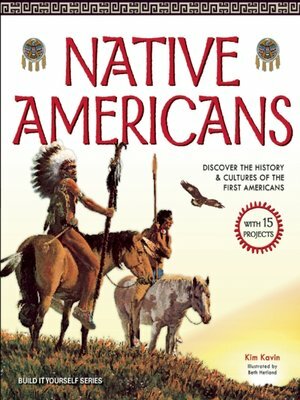 Native Americans: Discover the History and Cultures of the First Americans uses hands-on activities to illuminate how the Native Americans survived and thrived by creating tools, culture, and a society based on their immediate environment. Entertaining illustrations and fascinating sidebars bring the topic to life, while Words to Know highlighted and defined within the text reinforce new vocabulary. Projects include building an archaic toolkit, creating Algonquin art, experimenting with irrigation systems, inventing hieroglyphics, making a quinzy," and playing the Inuit game of nugluktaq. In addition to a glossary and an index, an extensive appendix of sites and museums all over the country offers ideas where families can learn more about the various Native American cultures. Kids ages 9–12 will gain an appreciation for the diversity of people and culture native to America, and learn to problem solve in a way that respects the environment.